Expression levels of ER alpha protein vary with sample type. Recombinant fragment within Human Estrogen Receptor alpha aa 1-300. The exact sequence is proprietary. WB: MCF7 and T47-D cell lysates. IHC-P: Human breast ductal infiltrating carcinoma and normal breast tissues. ICC/IF: MCF-7 cells. Our Abpromise guarantee covers the use of ab108398 in the following tested applications. WB 1/1000 - 1/10000. Predicted molecular weight: 66 kDa. For unpurified use at 1/200 - 1/1000. Immunohistochemistry (Formalin/PFA-fixed paraffin-embedded sections) analysis of human breast tissue labelling Estrogen Receptor alpha with purified ab108398 at 1/250. Heat mediated antigen retrieval was performed using Tris/EDTA buffer pH 9. A prediluted HRP-polymer conjugated anti-rabbit IgG was used as the secondary antibody. Counterstained with Hematoxylin. There is no cross-reactivity between ab108398 and ER beta protein. Observed band size: 67 kDa why is the actual band size different from the predicted? Immunocytochemsitry/Immunofluorescence analysis of MCF-7 cells labelling Estrogen Receptor alpha (green) with purified ab108398 at 1/200. Cells were fixed with 4% paraformaldehyde. An Alexa Fluor® 488-conjugated goat anti-rabbit IgG (1/200) was used as the secondary antibody. Counterstained with DAPI (blue). ab108398 staining Estrogen Receptor alpha in the human cell line MCF-7(human breast carcinoma) by flow cytometry. Cells were fixed with 4% paraformaldehyde, permeabilized with 90% methanol and the sample was incubated with the primary antibody at a dilution of 1/20. A goat anti rabbit IgG (Alexa Fluor® 488) at a dilution of 1/2000 was used as the secondary antibody. ChIP analysis using unpurified ab108398 binding Estrogen Receptor alpha in MCF7 cells derived from Human breast carcinoma. Cells were cross-linked for 10 minutes with 1% formaldehyde. Samples were incubated with undiluted primary antibody for 16 hours at 4°C. Protein binding was detected using real-time PCR. Positive control: Estrogen treated MCF7 cells tested at PS2 promoter. Negative Control:IgG ChIP and ethanol-depleted cells tested at PS2 promoter. Immunohistochemistry (Formalin/PFA-fixed paraffin-embedded sections) analysis of human breast ductal infiltrating carcinoma tissue labelling Estrogen Receptor alpha with unpurified ab108398. Immunohistochemistry (Formalin/PFA-fixed parffin-embedded sections) analysis of human normal tonsil tissue. Unpurified ab108398 shows negative staining. Immunohistochemistry (Formalin/PFA-fixed parffin-embedded sections) analysis of human colonic adenocarcinoma tissue. Unpurified ab108398 shows negative staining. Immunohistochemistry (Formalin/PFA-fixed parffin-embedded sections) analysis of human lung adenocarcinoma tissue. Unpurified ab108398 shows negative staining. Immunohistochemistry (Formalin/PFA-fixed parffin-embedded sections) analysis of human cervical carcinoma tissue. Unpurified ab108398 shows negative staining. Publishing research using ab108398? Please let us know so that we can cite the reference in this datasheet. Dear technical team, Our customer would like to purchase ab108398 and is going to test IF. https://www.abcam.com/Estrogen-Receptor-antibody-EPR4097-ab108398.html This antibody described only "ICC" so, please check this antibody is okay with our customer. Thank you. Thank you for your inquiry. This antibody is tested and guaranteed for ICC. 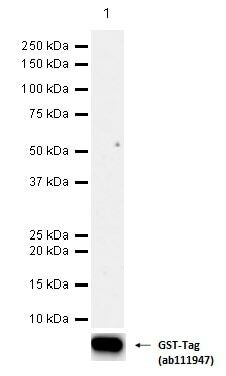 We did not test this antibody for IF but it should be suitable if the correct secondary antibody (anti rabbit that is tested for IF) is used. I hope this information was helpful. Please do not hesitate to contact me again with any further questions.